A woman in Pakistan's Punjab chopped off a 13-year-old boy's right hand with a fodder cutting machine for allegedly demanding for his salary. According to the boy's mother, Jannat Bibi, Irfan was employed at Shafqat Bibi's house in Safdarabad for a salary of Rs. 3,000, as told to the police. "Last week Shafqat Bibi got furious with Irfan when he demanded salary. She cut his right hand with a fodder cutting machine to teach him a lesson that he demands salary but doesn't complete his job of feeding the cattle," she said. 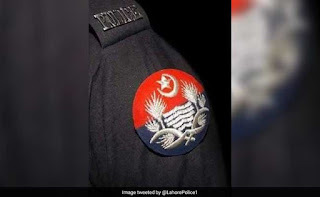 The incident took place in Sheikhupura village, 50 kilometres from Lahore. He was shifted to a local hospital where his condition is stated to be critical, his mother said. The Safdarabad police refused to register a case when the family approached them. However, Ms Jannat moved to the district and sessions court that directed the police to register a case against those involved in the incident. The police yesterday registered a case against Shafqat Bibi, her brother Zafar Tarrar and two others who were involved in the case. Shafqat Bibi's brother was later arrested. Pakistan Punjab's Chief Minister Shahbaz Sharif has sought a report from the police about the incident. He said the culprits involved in torture and amputation of the boy be arrested and should be dealt with according to the law.